Alexander Duncan McCowen, CBE (26 May 1925 – 6 February 2017) was an English actor. He was known for his work in numerous film and stage productions. McCowen died on 6 February 2017 at the age of 91. He made his London debut on 20 April 1950 at the Arts Theatre as Maxim in Anton Chekhov's Ivanov, and made his first appearances on the New York City stage at the Ziegfeld Theatre on 19 December 1951 as an Egyptian Guard in Caesar and Cleopatra, and on 20 December 1951 as the Messenger in Antony and Cleopatra. Following a series of roles at the Arts and with the Repertory Players, he had rising success as Henri de Toulouse-Lautrec in Moulin Rouge at the then New Theatre, Bromley, and appeared as Barnaby Tucker in The Matchmaker at the Theatre Royal Haymarket, both 1954. After appearances as Dr Bird in The Caine Mutiny Court Martial at the London Hippodrome in 1956, and Michael Claverton-Ferry in T. S. Eliot's The Elder Statesman, first at the Edinburgh Festival in 1958, then at the Cambridge Theatre, he joined the Old Vic Company for its 1959–60 season, among several parts taking the title role in Richard II, then stayed on for the 1960–61 season to play Mercutio in Romeo and Juliet, Oberon in A Midsummer Night's Dream and Malvolio in Twelfth Night. He joined the Royal Shakespeare Company in September 1962, appearing at Stratford-upon-Avon playing Antipholus of Syracuse in The Comedy of Errors and the Fool to Paul Scofield's King Lear, subsequently appearing in both plays at the Aldwych Theatre in December 1962 – performing these roles again for a British Council tour of the Soviet Union, Europe and the United States from February to June 1964. With the RSC he also played "the gruelling role" of Father Riccardo Fontana in Rolf Hochhuth's controversial play The Representative at the Aldwych in December 1963. He enjoyed a career breakthrough at the Mermaid Theatre in April 1968 as Fr. William Rolfe in Hadrian the Seventh, winning his first Evening Standard Award as Best Actor for the London production and a Tony nomination after the transfer to Broadway. At the Royal Court in August 1970, McCowen was cast to play the title role in Christopher Hampton's sophisticated comedy, The Philanthropist. If a philanthropist is literally someone who likes people, McCowen's Philip was a philologist with a compulsive urge not to hurt people's feelings – the inverse of Molière's The Misanthrope. Following enthusiastic reviews the production played to packed houses and transferred to the Mayfair Theatre where it ran for a further three years, making it the Royal Court's most successful straight play. McCowen and his co-star Jane Asher went with it to Broadway in March 1971 where he won the 1971 Drama Desk Award for Outstanding Performance. McCowen devised and directed his own solo performance of the complete text of the St. Mark's Gospel, for which he received international acclaim and another Tony nomination. 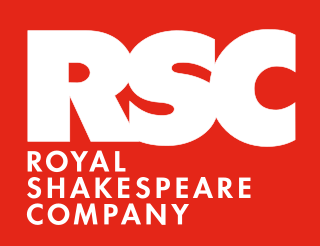 It opened first at the Riverside Studios in January 1978 before beginning a long West End season at the Mermaid Theatre then at the Comedy Theatre. Taking the production to New York, he appeared at the Marymount Manhattan and Playhouse theatres. Television roles included the BBC's four-part adaptation of J. B. Priestley's Angel Pavement (1958), and his one-man stage performance of The Gospel According to Saint Mark, transferred to television by Thames for Easter 1979. He appeared in the BBC Television Shakespeare series as Malvolio in Twelfth Night and as Chorus in Henry V. In 1984 and 1985 McCowen starred in the ten episodes of the shortlived television series Mr Palfrey of Westminster as a "spy catcher" working for British intelligence under the direction of a female boss (played by Caroline Blakiston). His one-man performance as Rudyard Kipling was broadcast on television in 1984. His later appearances included playing Albert Speer and Rudolf Hess in the BBC docudramas The World Walk in 1984 and 1985, and a role in Longitude in 2000. He was the subject of This Is Your Life in 1989, when he was surprised by Michael Aspel at the Strand Theatre in London. He was appointed Officer of the Order of the British Empire (OBE) in the 1972 New Year Honours and raised to Commander of the Order of the British Empire (CBE) in the 1986 New Year Honours. On 2 May 2017 McCowen was accorded a memorial service at St. Paul's Church in Covent Garden (known as "the actors' church"), conducted by the Reverend Simon Grigg. McCowen's nephew, Reverend Nigel Mumford, read an affectionate remembrance from McCowen's sister Jean Mumford's memoirs titled "Childhood memories of Pantos". The tribute was read by Dame Penelope Wilton, followed by a tribute from the playwright Christopher Hampton. Rebecca Trehearn sang "Bill" from Show Boat, which was followed by a tribute from the theatre critic Michael Billington and a tribute by the actor Malcolm Sinclair. After final prayers a plaque to McCowen was dedicated by Grigg to the left of the altar. ^ "Alec McCowen Biography (1925–)". Filmreference.com. 26 May 1925. Retrieved 10 August 2015. ^ Still Acting Gay: Male Homosexuality in Modern Drama: John M. Clum: 9780312223847: Amazon.com: Books. Amazon.com. ISBN 0312223846. ^ "Smart Alec". Connection.ebscohost.com. Retrieved 10 August 2015. ^ The Advocate – Google Books. Books.google.com. 27 April 2011. Retrieved 10 August 2015. ^ Double Bill by Alec McCowen, Elm Tree Books (1980), ISBN 0-241-10395-9, page 7. ^ "BFI | Film & TV Database | The GOSPEL ACCORDING TO ST. MARK (1979)". Ftvdb.bfi.org.uk. 16 April 2009. Retrieved 1 March 2012. ^ "Viewing Page 11 of Issue 45554". London-gazette.co.uk. 31 December 1971. Retrieved 1 March 2012. ^ "Alec McCowen | BFI". Ftvdb.bfi.org.uk. 2 July 2015. Retrieved 10 August 2015. Dame Edith Margaret Emily Ashcroft,, known professionally as Peggy Ashcroft, was an English actress whose career spanned more than sixty years, and who, along with contemporaries John Gielgud, Laurence Olivier and Ralph Richardson, dominated the British stage of the mid-20th century. 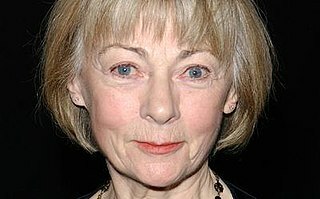 Geraldine McEwan was an English actress who had a long career in theatre, television and film. Michael Coveney described her, in a tribute article, as "a great comic stylist, with a syrupy, seductive voice and a forthright, sparkling manner". John Alderton is an English actor who is best known for his roles in Upstairs, Downstairs, Thomas & Sarah, Wodehouse Playhouse, Little Miss, Please Sir! and Fireman Sam. Alderton has often starred alongside his wife, Pauline Collins. 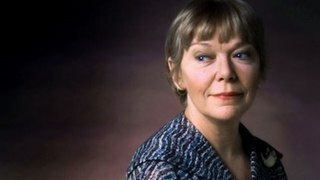 Brenda Bruce OBE was a British actress. She had a long and successful career in the theatre, radio, film and television. Aikaterini Hadjipateras, known professionally as Kathryn Hunter, is an award-winning British actress and theatre director. Frederick Gerrard Ridgeway was an Irish-born stage and television actor. He began his professional life pursuing a career as a money broker, but at the age of 42, he decided to take up professional acting. He performed in a variety of stage productions across the UK, including several Richard Bean plays and a number of Royal Shakespeare Company productions. His final role was as Charlie Clench in One Man, Two Guvnors, which toured the UK as well as appearing in Broadway theatre. 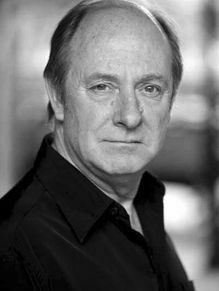 Prior to its Broadway run, Ridgeway was diagnosed with motor neurone disease, from which he died in November 2012. Gautam Paul Bhattacharjee was a British actor of Indian ethnicity of stage, film and television.